Alright! Here we are. This is the largest project i did for quite a while. A lot of experimenting went into this monster. Trial and error… as usual. 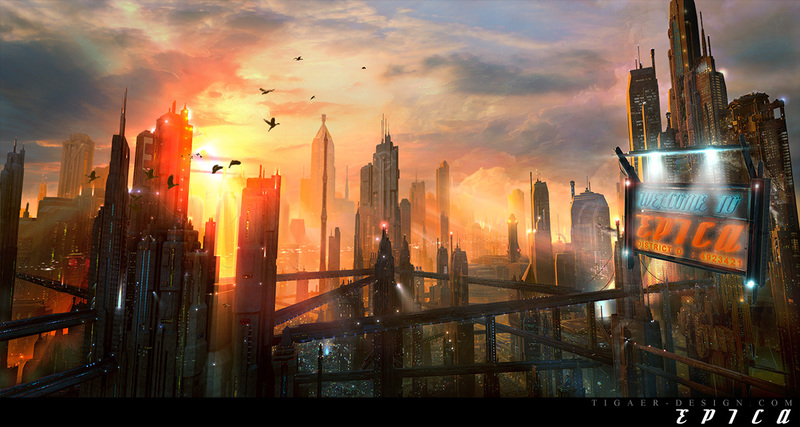 The scene shows quite an epic futuristic cityscape. Actually no too big story behind it. Just the imagination of mine that always wants to see such big and amazing vistas. ‘City of lights‘, an earlier project of mine, was a first try at such scenes. The light scheme is almost the same too. Just love this lighting setup. I started this project in c4d and used some basic models for futuristic looking buildings and modified them. Then i moved the objects into vue and arranged the scene. Quite some work went into the setup there, where to place what, and so on. Also, a very important thing, was the lighting of the scene. As usual i did go for the drama… a backlit situation with some cool contrast going on. I don’t even know anymore how long it took too render. Something like 15hrs to render the base picture. Rendered several times until i got it right. In photoshop i added the lights, windows and atmosphere. And i tell you people… i’m done with lights and windows for now. You can be assured that 85% of the lights in there… are placed and revised by hand. A lot of precision work went into that stage. 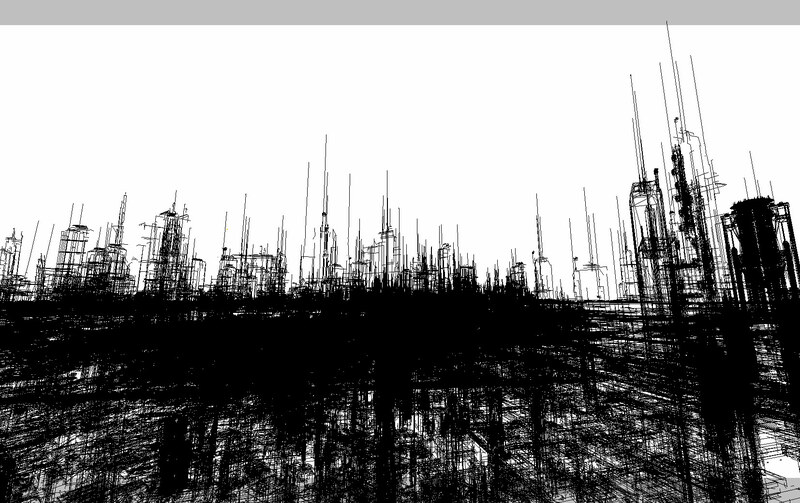 Also altered the buildings with details to make them look not too uniform. Long story short a lot of work went into this. Basically worked on it since february. With longer breaks though. This entry was posted on Friday, May 2nd, 2008 at 04:53	and is filed under Paintings. You can follow any responses to this entry through the RSS 2.0 feed. You can leave a response, or trackback from your own site. Wow that is amazing! You should be a graphics designer for architects or work on the graphics part of movies like Star Wars… In fact when I looked at this I immeadiately thought it was a screenshot from the third Star Wars moive. Simply amazing! This is stunning. You can really tell that a lot of time and thought went into producing this. An outstanding Graphics Designer you are. And thanks for sharing this with us for free. My respect!! Looks very real. Do you have a picture of the wiremodel?